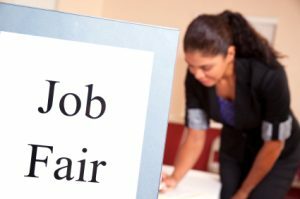 The Thursday, Feb. 28 job fair which was canceled due to inclement weather, has been rescheduled to March 13, from 4-6 p.m. at the district administrative center, 1001 W. Danforth. Edmond Public Schools is hosting a teacher job fair from 4-6 p.m. Tuesday, Feb. 26 and Thursday, Feb. 28 at the district’s administrative headquarters, 1001 W. Danforth in Edmond. Edmond Public Schools Chief Human Resources Officer Randy Decker says the district will have open positions in all areas. Individuals interested in a job in elementary education should plan to attend the Feb. 26 job fair. Individuals interested in a job in secondary education should plan to attend the Feb. 28 job fair. Participants should bring several copies of their resumes and be prepared to meet with principals for interviews. The district is also urging college graduates with non-teaching degrees to attend the job fair to learn more about the rewards of the teaching profession. District staff will be available to offer information about alternative routes to teacher certification. 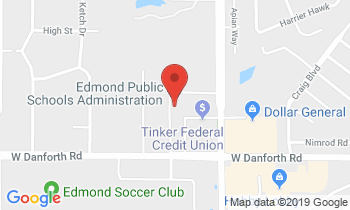 Recognized by The Oklahoman as a Top Workplace for the last four years, Edmond offers teachers a starting salary of $40K, extensive peer mentoring, paid life and disability insurance and the opportunity for supplemental pay for additional duties such as coaching or sponsoring a student club. In addition, the district has unmatched community support of bond issues which funds school upgrades, instructional materials, and technology needs. No registration is necessary to attend the job fair. For more information, call 340-2913.